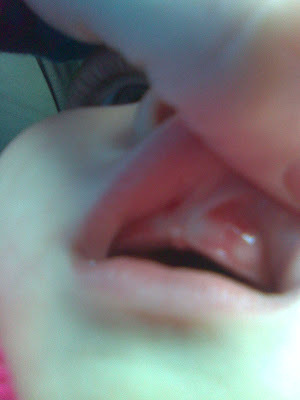 Juliet is cutting a new tooth. It's an upper eyetooth, and of course that means she's been perma-tached to my breasts. Anytime she delatches she cries and wakes herself up.